Thanks to all who have registered for our upcoming "Top Dog-Charleston, '19" and to those who have signed up for our special "hands on" guided tour of Patriots' Point Maritime and Naval Museum. The response has been tremendous and we do appreciate your support. 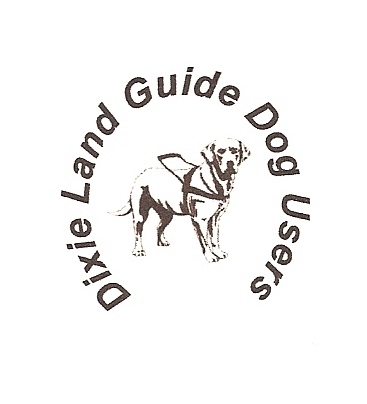 Dixie Land Guide Dog Users invite all of you "early birds" to a delicious, slap your mama good spaghetti dinner, including salad; garlic bread and a yummy dessert. Wrap your lips around some of the bestest All You Can Eat Chicken Dinners with macaroni & cheese; red rice & sausage; green beans; sweet tater casserole; rolls; nanner pudding and iced tea you ever did taste. Our very own Laurel Jean will add to the occasion with her unique style of piano and vocal renderings. We understand there may even be one or two of those "rovering reporters" from the Whimsical Guide Dog Radio to lighten things up! 8:30AM – 9:45AM "Thank you, God!" God was the very First to be invited to Top Dog-Charleston and we're sure you'll agree He's showed up and gonna show out! Join us as we celebrate all of God's awesome bounty at The Blessing. Dixie Land's very own Laurel Jean will get us all in the mood with her hand-clapping, finger-snapping; toe-tapping, heartfelt and poignant musical tributes to those former guides that have retired within the past 2 years. There will be plenty of tissues available as she conducts her special "audible candlelight tribute" to our 2 and 4 legged friends that have crossed over Rainbow Bridge. Pastor Phil Glick a former US Navy Chaplain and retired United Methodist minister and Deb Trevino, a Presbyterian Minister and fellow guide dog user will offer personal individual blessings to all who wish to participate, including future guides; current guide teams; and anyone else who would like a special blessing. We'll have several Stephen's Ministers throughout the room to offer prayer support as needed. There will also be a "Prayer Station" in the rear of the room to offer closure and comfort for those who have had to say "good-bye" to their former guides. Each participant will receive a heart-shaped tac pin with a tactile cross in the middle to commemorate the occasion. 10:00Am – 10:45AM "Thank You, Veterinarians!" Dr. Nicole Constantine, Charleston Veterinary House Calls, will be on hand to answer your questions and address various issues pertaining to our ongoing quest to keep our guides healthy and safe. 11:00AM – 12:15PM "Thank you, Patriots!" To celebrate the 90th anniversary of the guide dog movement in this country with the founding of The Seeing Eye, and to pay tribute to the blinded veterans both here and in Europe who had the courage after sacrificing so much for their countries, to take their lives in their own hands by picking up that harness that links so many with the freeing "Love in the Lead" of a guide dog, Lukas Franck, COMS, GDMI, Senior Special Projects Consultant, The Seeing Eye, will present the history of these brave warriors and their guides from its beginnings in Germany through to today. Jenine Stanley, Guide Dog Foundation and America's VetDogs will present a brief overview of the unique training processes that may be employed in training a veteran who is blind to accommodate the effects of his/her war-sustained injuries. Tim Hornik, Founder, CEO Blind Not Alone LLC; will share his own personal story of how he got from the war sacrifice for all of us to today. Wounded warriors attending Top Dog 2019 will be invited to share their own uniquely moving stories of fear evolving into courage to live victoriously once again with their guide dogs. 1:30PM – 2:15PM " Thank you, Pups!" In an attempt to end fear and mistrust and to bring about a sense of community of ADA recognized service dog users, Toni Eames MS, President and Co-Founder, International Association of Assistance Dog Partners; Veronica Morris PhD, President, psychiatric Service Dog Partners; Brad Morris, Legislative and Public Affairs Director, psychiatric Service Dog Partners; Jenine Stanley, Consumer Relations Coordinator, Guide Dog Foundation for the Blind, Inc. and America's VetDogs; will share with us the history of the service animal movement that began with us, the tasks that their animals are trained to do to mitigate an aspect of their disabilities, and hopefully help all of us to take those first steps onto a path of acceptance, understanding, collaboration and trust. 3:30PM – 4:45PM "Thank you, schools!" We are thrilled to have so many national guide dog schools participating in our event and each representative will be given time to update us on what's happening on their campus. Becky Davidson, former President of GDUI will moderate this extensive panel of experts to insure each school has ample opportunity to participate. There will also be time for Q&A, so be sure to have your questions ready. Time to treat yourselves to another good 'ol southern style helping of Jamie Westendorf's Frogmore Stew includes shrimp, sausage , taters and corn on the cob cooked in a delicious secret concoction only found in Charleston; lip-smacking good barbecue and all the fixin's. 7:00PM – 10:00PM Loosen them thar harness handles as well as your belts while Heather Rice, a talented pianist and recording artist entertains us all with her "jazzy" tickling of those ivories and unique lilting lyrics as we convert our Meeting Room to the "Top Dog House of Jazz!" 8:00Am-9:00Am "Thanks for the Memories" Join Jenine Stanley as she encourages folks to share some of their favorite experiences with their guides. 9:30Am – 10:45AM "Thanks, God!" Pastors Trevino and Glick will offer a non-denominational Christian service praising and thanking our God for all He has given us. Of course, it wouldn't be "church" without music and do we have some "church music" for you! Holy harness handles, it's Laurel Jean again! Fasten your seatbelts. You know you're about to share one of the most uncanny experiences few have ever witnessed, 'specially with Laurel at the piano! Yes, sir and ma'am; pups and peeps, we'll have our very own "God Squad" on deck, so we just might wind up with one of them thar Sunday-go-to-meeting faith revivals we've all heard so much about! 11:00AM "Thank you, guests!" It's time once again to say, "So long ... 'til the next time." We say "so long" and not "goodbye," because once you attend Top Dog, you know that you'll have lots of friends fur-ever! Although our tongues may be hanging and our tails may be dragging, we hope you will have had a howling good time here at Top Dog-Charleston, 2019! The preregistration deadline for Top Dog is December 5, 2018. Please stay tuned for Top Dog highlights and recorded sessions from this weekend full of fun, food, fellowship and furries!